Influencer marketing is the new type of product promotion of 2016 that does an organic and natural job. Unfortunately, it is often disregarded in favor of paid advertising that takes up a lot of the responsibilities of the marketing team. Facebook Ads is one such useful service that gives you access to the worldwide market represented by its users. There are 1.71 billion active users on a monthly basis, and you can easily get your product in front of them through Facebook Ads. Well, that is as long as the budget permits you. And maybe not to all of them, but to the ones that Facebook believes to be a better fit for your business. 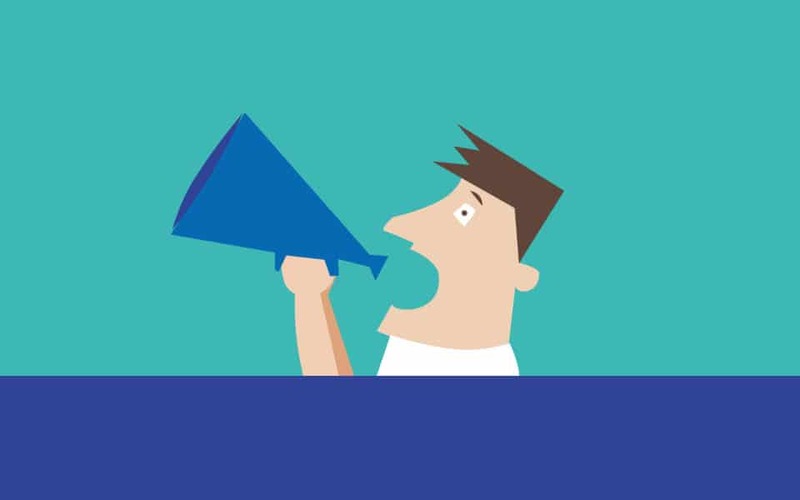 Nevertheless, there are a few tweaks that the social platform doesn’t cover so well, so let’s see the actual difference between influencer marketing and Facebook Ads. So, in theory, both advertising mediums are great at tracking down your target public. Without the ideal audience, any kind of efforts toward the brand awareness is worth nothing. Let’s say your product which is a fierce motorcycle that can reach even 150 mph is posted in front of a group of viewers. They are at the ideal age range, and they are from the ideal countries close to the factory and with lots of highways. However, they all have life insurance from an early age and prefer the indoor activities rather than facing the excitements of life outside. This is when massive marketing budgets will collapse like some feeble straws, and all that’s left will be just a sound of cricket. So, both Facebook Ads and Influencer marketing are trying to connect the brand with the people who need their products. However, the difference between the two of them is that paid advertising links the product with some uber-complicated sets of algorithms. People are relying on these algorithms to find their public and publish their ad in front of them. On the other hand, the influencers are building their notoriety through valuable content that attracts people with the same range of preferences. These people gathered under one profile are the ideal market which was created organically, and represent a thriving environment for your product. All the marketing teams have to do is track down one such influencer to find thousands and thousands of prospective clients. Let’s take one example where the Facebook algorithm can backfire. Kyle S. Gibson, who is a Web Analytics Coordinator at MIT, has conducted some experiments to test the accuracy of Facebook Ads. So, after he returned from his brother who relocated in another state, he discovered that Facebook put him in the “vacation” segment. However, his trip was actually not for pleasure. He was just helping his brother with some errands. Now, this seems like a minor mistake, but imagine how many people must be in this situation. Afterward, imagine how many marketing teams are investing high budgets for CPM, just to get their vacation product in front of a prospective client who has no chances for some time off for himself. This would look more like a tease, and the dislike button would have been used if there was such a thing. So, maybe the prices are lowest for paid advertising when it comes to Facebook Ads, but the real worth of one prospective client might be higher when the algorithms fail to take the pulse of reality. Whereas Influencer Marketing works more intuitively than this. Constantly building your network of influencers will cover most of the prospective clients that are on Facebook. Just think about it. Social media is a way to express your personality by communicating about yourself and the events that you take part in, and connecting with the people that have the same interest as you do. This new kind of relationship that is not necessarily similar with friendship helps people learn from each other and emphasizes the feeling of community. So, spotting the right influencers that use their content to increase their communities and earn trust and recognition will open you the door to your ideal target public. What do all the successful commercials have in common? All of them have a higher message that concerns social issues. These messages are powerful enough to get people to talk to each other about them. Taking the commercials from the TV and turning them into conversation topics is how the “the word of mouth” effect takes place. The work colleagues have one more subject to talk about during their lunch break which is the kind of impact that the TV commercial had on them. Social media is the new platform that encourages the power of word of mouth. When a brand communicates directly with the clients and empowers them to greatness, then the clients form a community. Influencer marketing is one such strategy to connect not collect the client. When a trusted source powered by an influencer shares with their followers that they tested a product and are impressed by its benefits, then the public has logical grounds to support their trust in these affirmations. On the other hand, when a brand speaks highly of its product, the opinion is seen as biased and with no clear foundation for its relevance. 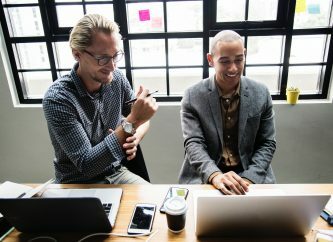 People expect companies to praise their products, as much as they expect normal clients to have no other intentions than to give an honest review. From these rules of trust, we can clearly see why the formula for quality Facebook Ads is focused more on perseverance and less on building trust. There are also studies that show that a whopping 92% of clients trust recommendations and not the paid advertising. So, there are 92% chances that the influencer marketing is better than Facebook Ads at turning leads into actual customers. The Millennials should be considered as the new market that embraces innovation and ignores the cold, impersonal outreach. The new generation said “No!” to the Television mostly due to the lack of control over which programs to view, and due to the annoyingly large numbers of commercials. However, Millennials have turned to the Internet as the main source of information and entertainment. They have unlimited power to control what they watch, listen, and read and they have the largest opening of the market. Once with the process of globalization, boundaries are becoming just a faint memory, as one can order a product from the other corner of the world with just a few clicks. Studies show that the new generation is spending 85% of their time on mobile devices. On average, they access the Internet through their phones more than 45 times a day. This means good news for marketing opportunities, but bad news for paid advertising. The icon of such paid advertising was clearly the Television, while the customizable usage of the World Wide Web encourages the natural ways of marketing. Moreover, before making a buying decision, people are relying on the power of the word of mouth, which is embodied by their friends and families, and on all the sources of reviews they can find online. And to this day, Facebook has not succeeded in taking the monopoly over the social media platforms, which are the main raw source of unbiased opinions. Twitter is the main competitor of Facebook, where the clear message is nourished to the detriment of pure entertainment and shareable links like videos with fluffy bunnies and cute kitties. But other social communities are catching up, like YouTube, Instagram, the obscure yet infinite Reddit, and even the child of social platforms, Snapchat. Influencer marketing is not limited to Facebook, but can reach other categories of target public as well through recommendations in the form of illustrations, videos, and even fascinating stories. The influencers have different preferences when it comes to trusting their content to one platform or another. So, the marketing efforts shouldn’t be contained within one direction. Otherwise, it will lose valuable leads and opportunities for campaigns. One thing that the Influencer marketing relies on to attract the attention of the Millennials is authenticity. Facebook Ads may track the right audience through its complicated series of algorithms, but eventually, the power of the promotional piece is limited to one team only. The ads are sticking to the culture of the brand, and ignoring the different factors that influence the moment they are posted on. For example, an ad with a side of entertainment can appear after a post that tackles a serious national issue. The mood of the viewers can’t be switched to extremities in the blink of an eye, and they prefer to just ignore the ad, no matter how big of an impact it can create. 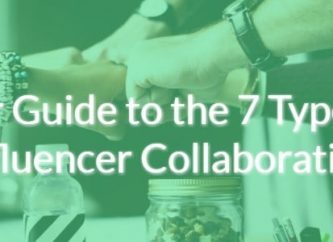 On the other hand, the influencer marketing relies on the collaboration between the marketing team and the influencers themselves. The circumstances under which the product review will be published can be easily controlled and manipulated to the advantage of the product. Moreover, the post will not show a striking discrepancy between the promotional post and the other pieces of content, which leads to a natural and organic environment for the company’s return on investment. This happens only if the marketers allow the influencers the freedom to adjust the post to the overall style of their profile. No matter the case, there is the huge possibility to control any external agents that may interfere with the content when we deal with influencer marketing. All in all, the influencer marketing respects the new rules of the advertising world better. It doesn’t disrupt the experience of the leads, offers an honest connection between brand and clients, and it creates viable circumstances for authenticity. However, Facebook Ads are still a powerful tool for any marketing team, and they open the door to a too valuable market to ignore them completely. Thus, it is highly recommended to keep a balance between the two types of advertising. One thing is for sure, though. As many strategies the marketers have, as many roads they can take to reach their target audience. 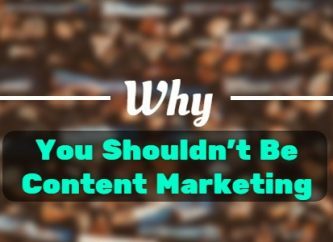 So, don’t rely on just one campaign, but experiment with the wide range of opportunities online marketing has created for any kind of business. Thea Millard is a Market Data Analyst and a Contributing Editor at Happy Customers Review. She has a great interest in everything related to corporate branding, digital marketing, and entrepreneurship, and loves helping businesses and individuals thrive. Thea Millard is a Market Data Analyst and a Contributing Editor atHappy Customers Review. She has a great interest in everything related to corporate branding, digital marketing, and entrepreneurship, and loves helping businesses and individuals thrive.